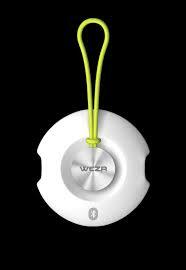 Home Other Pre-review: The WEZR Sensor. A device for a better wind forecast. 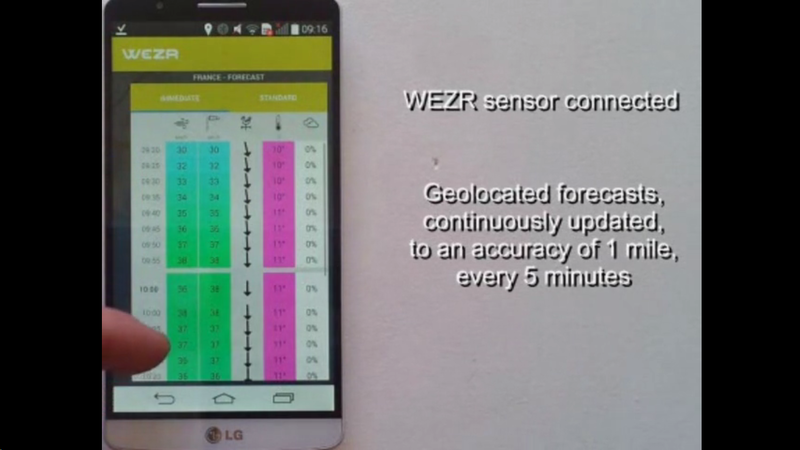 Pre-review: The WEZR Sensor. A device for a better wind forecast. A key impact on our kite sport; the weather. More precisely: the wind. Every kiteboarder has its way to get his wind prediction information; either websites like Windguru.cz, Windfinder, Predictwind etctera, local media, whatsapp-alerts or just by asking your (boy)friend. All these resources rely in the end on weather models. Windguru, for example, has a fairly understandable explanations on these models. Two important facts on these models are the long run time and the limited frequency those runs can be done in a day. Those runs (mostly four times in 24hours) are rather complex, that is why they take about three hours to finish. One of the complexities is that it needs to run for a huge area. 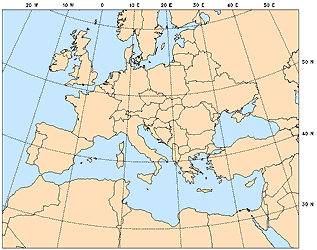 For example the WRF model in Windguru is covering Europe, popular spots in Egypt, and also Israel, Lebannon and south of Cyprus. Argentina, Chile and Uruguay. As a result everybody currently is looking at predictions which are at least 3 hours, but on average 6 hours, old. Another inaccuracy is that those models cannot take local effect’s into account. 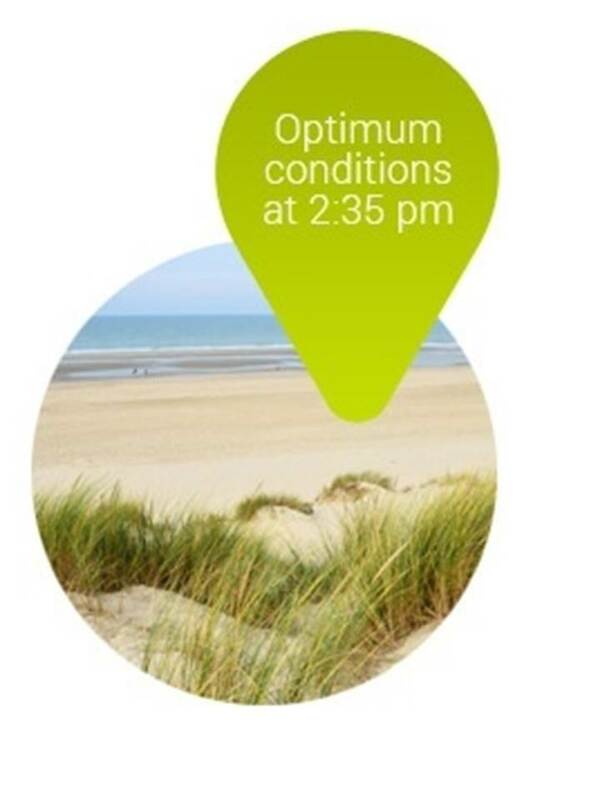 It is a fact that wind predictions for typical local conditions like in Cape Town from the south-east, westerly Poniente in Tarifa and the North Westerly winds in Leucate all are frequently up to 25 knots off. This is probably due to local thermal effects. Even when the wind is already blowing way above the predictions, they are not used to correct the current models. Exactly those two phenomena, the time lag and the missed linked to reality, are to be dealt with in a new device called WEZR. It is a device which is not available in the shops yet. It is in a kick starter phase. Currently 42 out of the 200 thousand dollars have been raised. It just has a little over 2 weeks to get the other 158 thousand dollars, which doesn’t sound too optimistic. We got quite interested to see if the device could add it’s (around 100 euro) value to kiteboarders. Since we couldn’t use it yet, we decided to contact WEZR to see if they could explain how the device exactly works. WEZR’s co-founder Stephane Diner replied and agreed to answer our questions. Stephane’s background, working at the French air-force for over 20 years and his long history of windsurfing and kiteboarding, explains the reason of developing such a device. The current weather models just don’t meet the demands he had. They are just too inaccurate. As described above, the models are hours behind and don’t directly integrate on-line measured data. It wasn’t too difficult for him and his partner to come up with a solution to both these problems. 1: collect local weather data 2:calculate just for customised areas (where you are). This solution already got the interest of several major meteorological institutes. So the device will get to the market one way or another. Even if the kick starter won’t deliver it’s needed 200.000 dollars. Stephane explains in simple words how the WEZR works; The WEZR device is used to measure local data like temperature, humidity and pressure. your smart phone is used to tell the WEZR server where you are. And it will come back with minute (instead of several hours) updated predictions. And, not to forget, the algorithms used take in to account the nearby available wind measurements. We couldn’t test the device in reality. So we had to imagine what it’s added value could be. We predict that the first users will be found at competitions, like the Red Bull KOTA, the VKWC or at speed contests. This prediction is based on the fact that the major drawback; The potential accuracy improvement is in the up to two hour prediction range. It probably won’t improve the long term (days) prediction models. Another issue is the planning on where you can use it; depending of where you are you still need to wait up to a year to be able to use the device. At the moment it seems Western Europe will be the first ones to be able to use it. The need of the WEZR, which certainly is there, but may be more urgent for specific area’s around the world. Area’s where the difference between the current models and the reality is at it’s greatest, like Cape Town. I read your review. It’s a really good one. It’s exactly what we do. Good job. Next week we provide weather forecast for a former french event “Festikite” in south of France.